The other day I went for one of my walk/sprints. It was a beautiful day. Almost a perfect day. I had the music on my iPhone set to random. For me, listening to my music in this manner is like listening to the radio. I have so much music that I really don’t know what I have, so songs pop up that I have never heard of and many cases I end up liking or even loving it. Case in point of the other day’s venture out for my walk/sprints. I was just starting out when a song came on which seemed to be some kind of song about championing over the darkness of life. The bridge of the song was “…wielding the shadows…” (The song I was listening to was Now And Forever by Tiësta) This was repeated over and over. I had never really heard that term used before. I took this phrase to mean that we should not only draw power from the light, but use the darkness (or shadows) in our favor. In other words, don’t look at life’s negatives as negatives. Things are only negative if we think they are negative. Things are in the shadows because we often put them there…into the darkness we create. So I’m listening to the song and I look out to a long stretch of sidewalk covered in trees which were casting shadows on the pavement. At that moment I thought to myself, “You’re going to sprint faster than you have ever have before through the shadowed pathway until you come back into the light…” And with that, I did a small leap into the air and when I came down I was in a full-out sprint. The lyrics pounding loudly in my earbuds, “…wielding the shadows…” My eyes didn’t leave the sight of the sunlight out in the far reaches. I hadn’t felt this physically powerful in some time. My body was performing like a well oiled machine. For a moment I felt like 20 years-old again…for a moment. I soon busted through the shadows into the light and I felt great. I looked down at my feet and took some deep breaths and acknowledged my small victory. And then I noticed it…it was gone…my stomach! I looked down and nothing was protruding out. The was a straight shot from my lower chest down to my feet. I thought, “I don’t feel fat right now. I don’t feel skinny either, but I definitely don’t feel fat.” THAT was a really good feeling. I’ve accomplished a great deal in just over 60 days. I’m 2.5 pounds shy of losing 40 pounds. It took something to get this far. I do have to say that I’m proud of myself. I’m liking the man I’m seeing in the mirror. THAT guy on the outside looks like the guy on the inside. I’m so very excited to see what the next 60 days brings. I’m committed to a life that is lived out loud! It’s another milestone to celebrate. 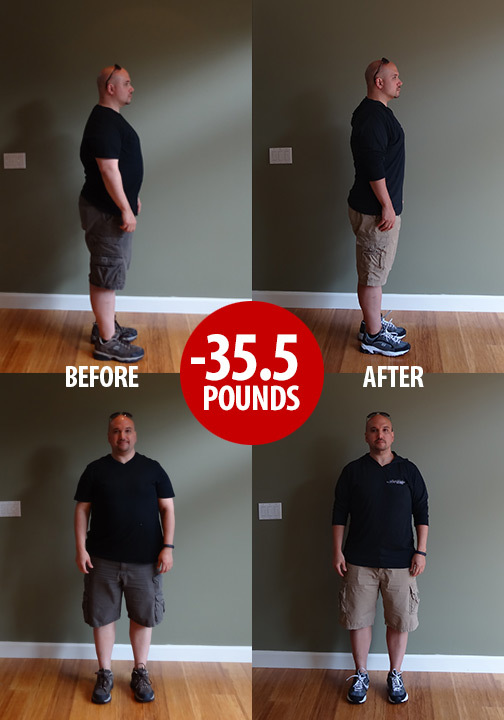 I have just made it past 60 days on a Paleo diet and I’m down a total of 35.5 pounds! I updated my pictures and I can really see the changes now…much more than before…especially in my profile. How was the second 30 days? Did you have any new challenges? The second 30 days was great. I didn’t take a break after the first 30 days. I just went right into the next month. My weight loss did slow down, but my losses were somewhat consistent. I think I really found my groove in days 31 to 60. 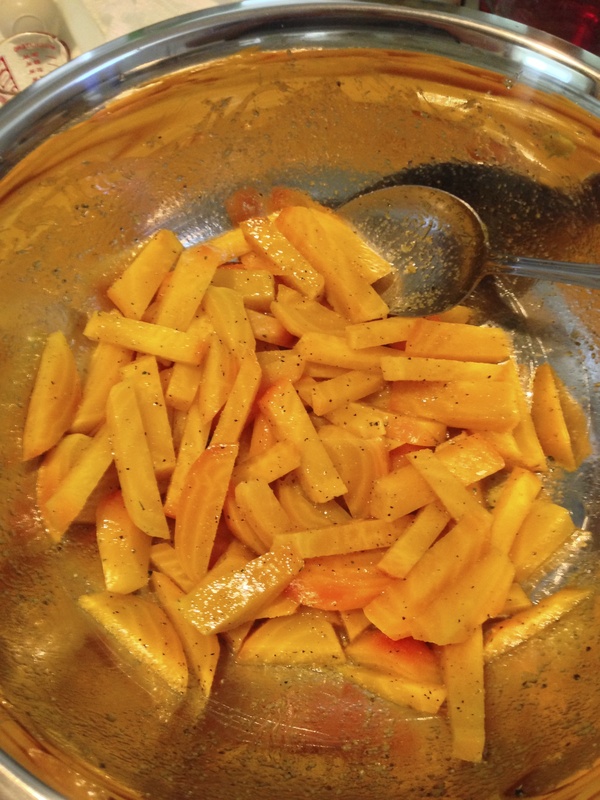 I came to realize what foods I really liked (grapefruit) and what foods I didn’t really care for much (fennel root). I experimented less with recipes in my second round. I repeated a few that I really like and that my body seemed to like in terms of responsive weight loss. 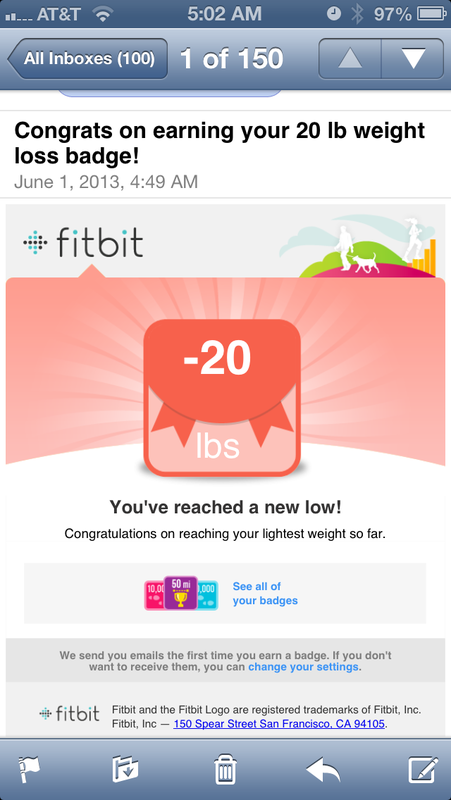 The only real challenge was keeping up with my food journaling / tracking…but not for any reason you might think. I had trouble writing down what I ate because what I ate was pretty much always the same…well, it was always the same in terms of variety of what I consumed in the Paleo realm. I really did eat 100% Paleo. When I say I was perfect, I mean I was perfect…not even a sugary breath mint! I think if I was 80% Paleo, I would have tracked my food to see how my body was reacting to certain foods. However, I stayed consistent and just took notice of how my body was reacting to clean eating and weight loss. Any significant changes to your body in this round? Yes, a few. Something I’ve noticed is that my posture has become much improved. I have always tried to have good posture, but that becomes more difficult when you are carrying extra weight at your core. A few people have mentioned that I look taller…lol. Another significant change is that my sleep has just been stellar. I haven’t had one sleepless night since I changed my diet. As you know, you can’t cheat sleep. A sleepless night means a weary and less productive day. Getting great sleep has helped me with focus and productivity. That alone is such a big win. How have you been doing with your exercise regime? I’ve been good but I could have been better. To my credit, I have been exercising 5-6 times a week (spin class and walk/sprints). That is huge and a great thing. You can never underestimate the value of any exercise. What I have been lacking is a commitment to weight resistance training. 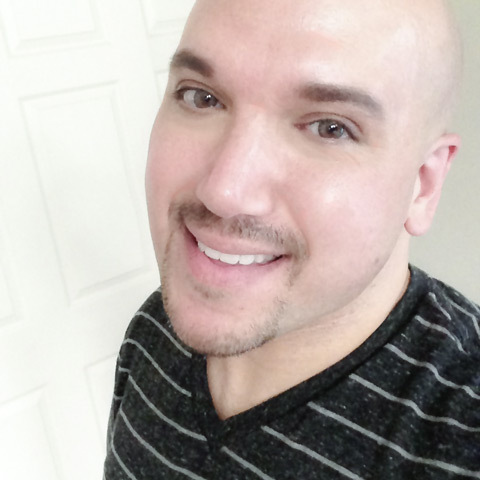 I started to get on track with my friend and business partner Michael, but our schedules keep conflicting. I am on track to work with him this week and I have several appointments lined up for the future, so I hope that this will kick-start my desired exercise plan. To really lose body fat you need to build muscle. Cardio will only get you so far. Lean muscle equates to a lean body. 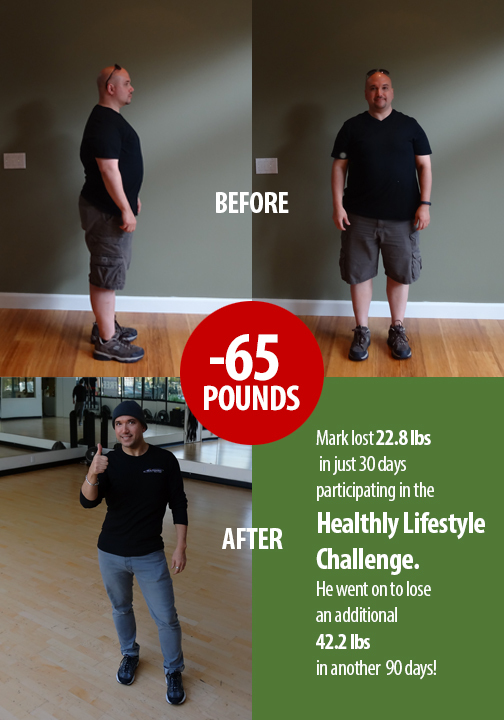 Are you going to do another 30 day challenge? Yes, but no. I can’t say I’m going to do another 30 day challenge because I plan on maintaining this Paleo lifestyle, in some capacity, for my the rest of my life. Will I always be at 100%? I’m not sure…hopefully. I’ll take it day by day. Each day I wake up and recommit to my pledge to living a healthy lifestyle. In years gone past, I have tried various diets which did get weight off and allowed me to gain muscle, but I always struggled with hunger. This Paleo lifestyle is the first way of eating that has completely erased my overpowering appetite and allow the weight to just fall off. 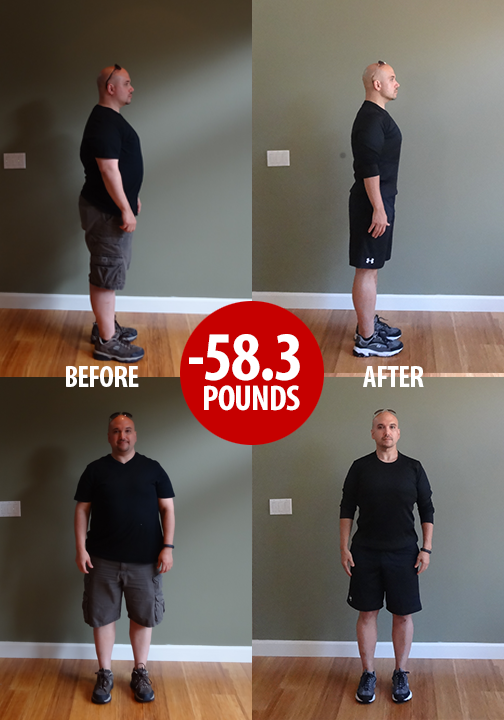 I will continue to post about my weight loss on this blog and share my journey with you. I do post my weight everyday no matter what. In that way, I am posting daily. I would love to hear what YOU want me to write about. Please send me an email or post a response here to let me know what topics you would like me to discuss or share. If you have any questions, I will gladly answer them. Just ask. 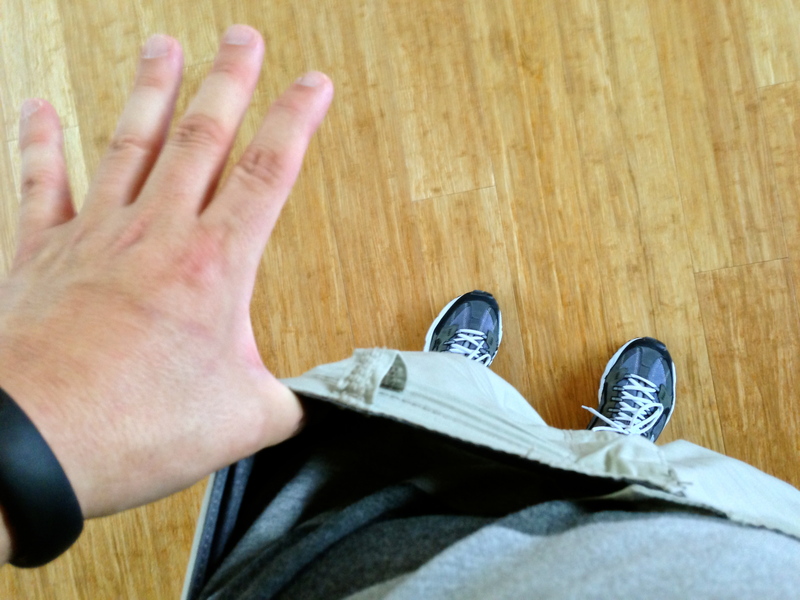 My pants are getting very loose! I’m currently in that awkward stage where my clothes are just a little too big but the next size down is just a little too tight. I am currently wearing a 38 waist pant. I’m actually closer to a 36 waist now, but it is just a bit too snug for my comfort. I’m pretty confident that by the end of the month I may be fitting to my 36s. I stored them all away knowing that I would get back into them. Um, that was over two years ago! The truth is that my normal waist is a 32. Somewhere in a storage box I have my 32s, 34s and 36s. I shouldn’t have to go buying clothes until some time in the near future. I say I shouldn’t have too, but I will…like I did yesterday. In all fairness to me, I had a 30% off coupon for Kohl’s that expired to today, so I had to go shopping. Hey, 30% off is a big deal. It would almost be a sin not to take advantage of it. Right? My closet is an ocean of dark colors heavily weighted with black. So I went to Khol’s and bought a few things. A few pairs of shorts and a couple of colorful T-shirts. Well, colorful for me that is. I admit, I’m a “black” man. Thin or fat, I have always liked wearing the color black. Black is always in fashion and it always leans towards the air of dressy to matter what the cut. 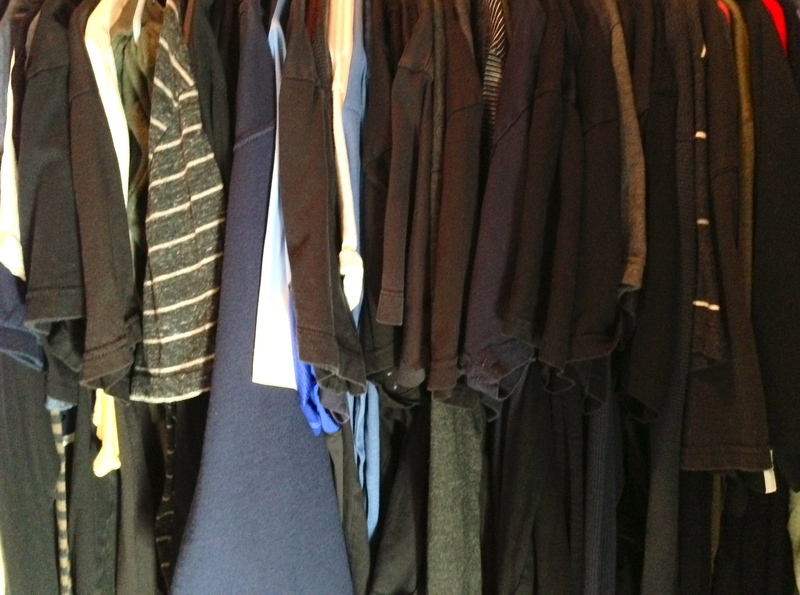 My closet is an ocean of dark colors heavily weighted with black. Anyway, back to shopping…I looked around and I found my eye being drawn to some colors…like a muted salmon color. Okay other guys would say orange, but I’m a graphic designer here folks…correct color identification is my life! So I bought the “orange” T-shirt and another royal blue one. I would have never bought these colors at 250 pounds. I would have definitely felt like a Macy’s day float. I know some of you know what I’m talking about. The last thing an overweight person wants to do is draw attention to themselves. I’m going to try to add more color to my wardrobe. I know I wear too much black when friends comment enthusiastically that I’m wearing anything of a remote color. I saw a very close friend the other day. I was wearing a sky blue shirt. She was in awe and repeatedly told me how good I looked in that color. The underlying message? “Hey Mark, you’re not Johnny Cash nor a 75 year-old grieving widow. Let’s lighten it up at bit shall we? !” Message heard and noted. In terms of my diet and weight loss, things are still going steady and strong. 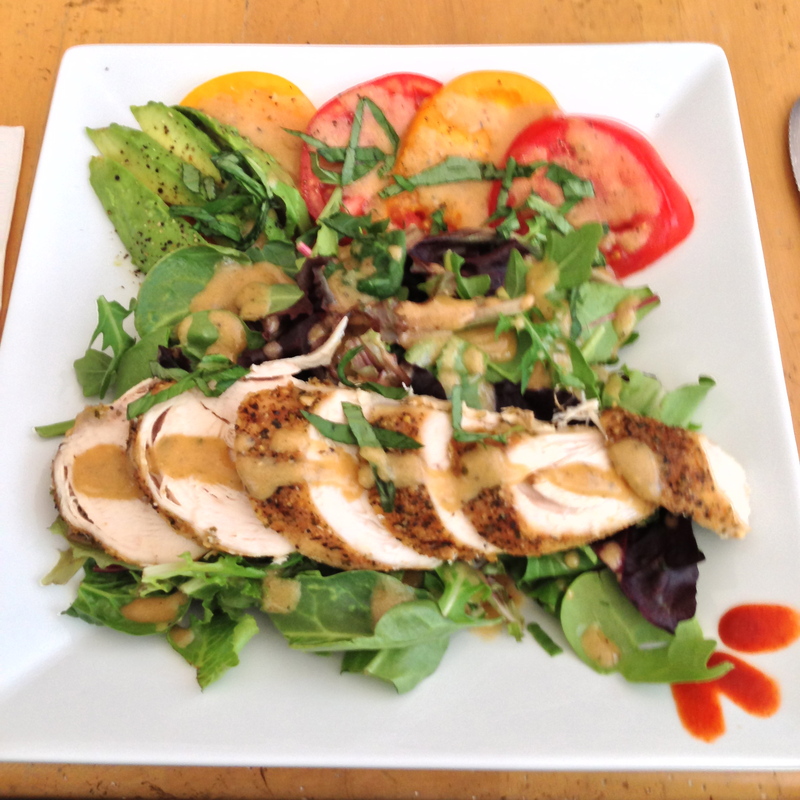 I’m still eating 100% Paleo and I can’t say that I have had any glitches along the way. I’m averaging 6 days of exercise in a week. 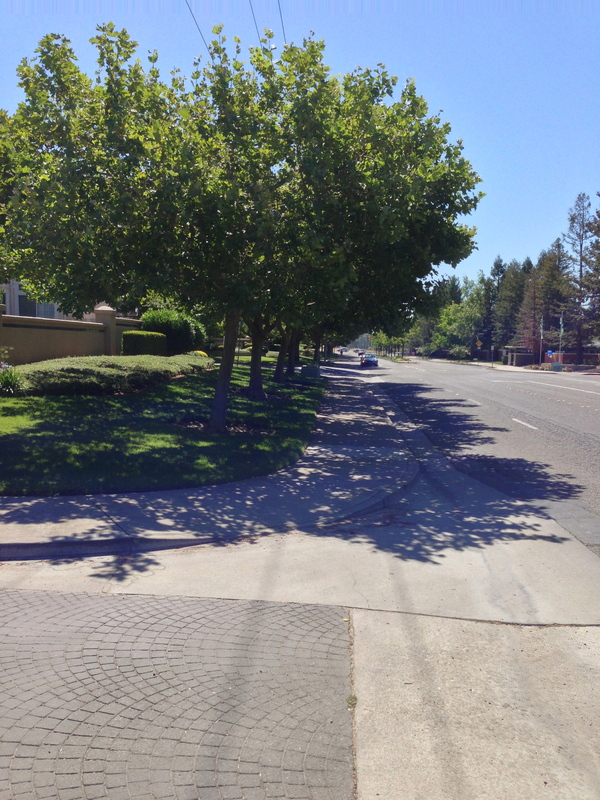 Yesterday I did Spin in the morning, went for a walk/sprint in the afternoon and took a walk after dinner. I’m finding it slightly harder to sit still. After a somewhat early dinner last night, I couldn’t resolve the fact that I would be relaxing on the couch until bed. I just didn’t want to sit down after eating so I went for a walk. I felt better after a 30 minute stroll around the neighborhood. It just goes to show you, a little exercise can work wonders. My stomach hurts. I’m pretty sure it’s food related. Last night I went to dinner with a good friend. We ended up going to Thai food (my suggestion). I had two cups of a chicken-coconut soup and a half cup of a chicken string bean dish and 2 curry prawns. I didn’t eat very much but my stomach was a little off after dinner. Tonight I met another close friend for dinner at Hopmonk Tavern in Novato. It’s a great restaurant with a great variety from which to choose. I didn’t order off the menu. I asked for grilled salmon and whatever vegetables they had. My salmon came broiled, I think. I received a small bowl of grilled carrots with sautéed onions and mushrooms. Again, a small amount of food. I’m sure none of this was organic in any way…especially the Thai meal the other evening. We’ll see what the scale reads in the morning. I was up 4/10th of a pound this morning. I attributed it to the Thai food last night either not being of the highest quality or having a high salt content. I have to remind myself not to eat chicken if it’s not organic. It really has an effect on me. My friend and business partner, Michael, always reminds me that nonorganic chicken is the worst kind of meat you can eat when it’s not organic. The things he tells me about nonorganic processed chicken makes my skin crawl…blach! Tonight I chose to eat salmon thinking it would be a better choice. It tasted good and fresh, but I can tell something in the preparation is not sitting well with me. I may choose to go with just raw vegetables next time and see how I do. It will be a constant journey of trial and error to incorporate eating out and finding the right combination of foods that work well for me when I do not have organic choices at my disposal. Ouch…my stomach is really hurting so I’m going to sign off now. Okay, here I go now…goodnight! 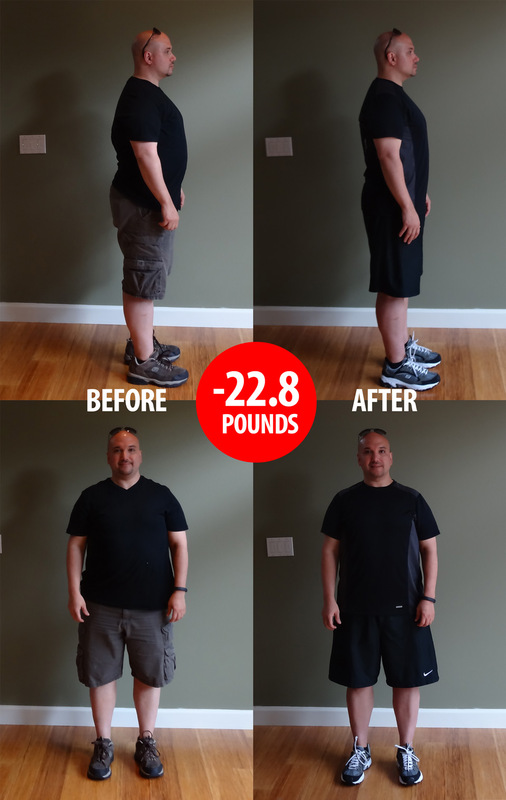 I’m thrilled to announce that I officially made it past the 20 pound mark! I got my Aria scale this morning and it read 232.7 pounds (that’s actually 21 pounds, thank you)! 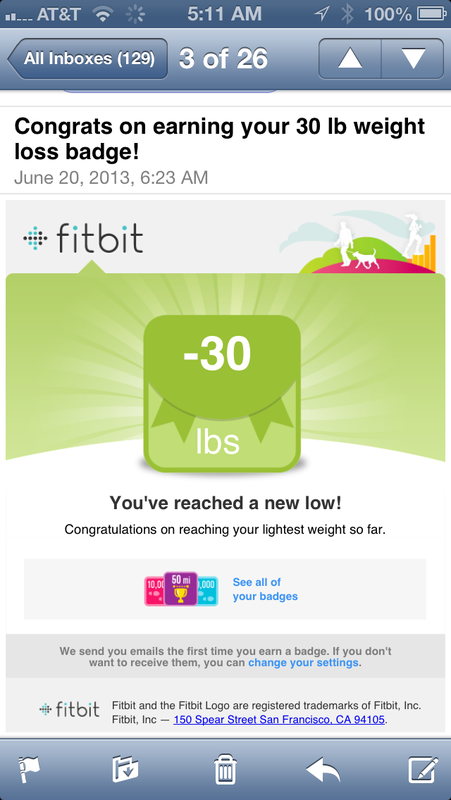 Soon after my weigh-in I received an email from Fitbit congratulating me on my loss. It was a great way to start my Sunday. I was then off to Whole Foods to buy my ingredients for various dishes I prepare in advance for the week. Shopping is much easier and faster since I only really buy meats, vegetables and fruits. I’m much more discerning than I have ever been about my produce selection. For whatever reason, it used to bug me when I experienced people examining a tomato or stalk of celery like a CSI agent. I’s think to myself, “Let’s go here! That tomato isn’t gonna start talking to you and tell you it’s fresh!” Why did that bug me anyway? It had nothing to do with me. Maybe deep down I thought they were doing something that actually mattered. Well, now I’m that person…well, sort of. I don’t expect my tomatoes to chat with me. It’s very much a ritual now. I go to the market early before the midday crowds arrive and scope out the best looking and freshest produce. I have even taken produce that is damaged problematic to the produce clerk. He always seem to appreciate that I take the time to do this. My golden beat salad tossed with a fresh vinaigrette, minced garlic and parsley. I came home and prepared my large pot of chicken broth. I also grilled rosemary chicken, Japanese yams and roasted golden beats that I then cooled and tossed in a vinaigrette with garlic and minced parsley. After I cleaned up the kitchen I decided to get out in the beautiful weather and soak up some sun. It was time to get some exercise and so I concluded that today was a good day to start getting back into running. It’s been a really LONG time since I took to the pavement. The last race I ran was in November of 2009 in San Francisco. So to be clear, I never really was a runner. I would run every now an then, but running wasn’t my thing. I used to run track in high school, but I was a sprinter. I have big muscular legs in comparison to the rest of my body. I can run really fast for short distances, but I’m simply not designed for long distance runs. It doesn’t mean I don’t enjoy the challenge of a 5 or 10k. There’s something about running a course and crossing a finish line that is extremely validating to the soul. I’m happy that I’m getting back to running BUT I’m bugged that my earbuds won’t stay in! Lord knows I need my music. My plan today was to start slow and prevent any injury. I wouldn’t overdo it because I knew I would pay for it later, so I ran a block and walked a block, ran a block…walked a block. I did better than I thought I would (self pat on back). However, I was totally bugged that my ear buds kept popping out. 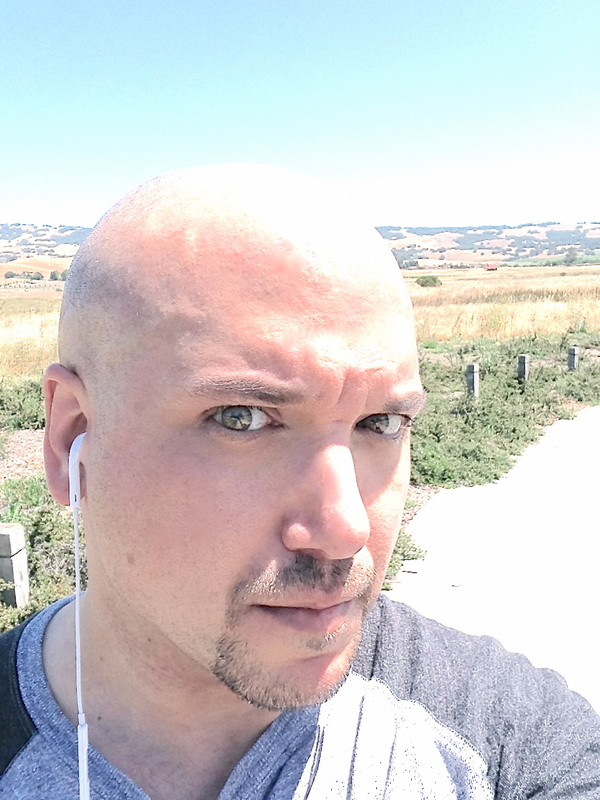 I snapped the picture in this post at the height of my frustration…anyway, I know that Apple’s ear buds are not made for jogging or running…so, if ANYONE can recommend a good pair, I would be much obliged. Thank you in advance!